Value Investing is the most commonly used word in personal finance space. If anyone tell you about Value Investing, then you think this person is quite a knowledgeable :). In layman terms, Value Investing is nothing but BUY at LOW Value and SELL at HIGH Value. At every critical level of the market, experts suggest it’s time for Value Investing. I heard this when the market was at 8500, at 8000 and recently near 7500. Whenever an investor invest, he invested with an assumption that it is the lowest point. In short, the market will not go down further. Unfortunately, it is not TRUE. As i always maintain a stand that NO ONE knows the bottom of the market. To invest, you should catch signals i.e. right time of invest. The best example i can think of is a stock of Adani Ports. It collapsed from 52 week HIGH of 374 to 52 week LOW of 239 in just four months. Investors lost 1/3rd wealth in a single stock. Do remember that it’s a NIFTY stock. All the while experts keep suggesting Value Investing in Adani Ports. Still we don’t know what the bottom is. Therefore, value investing does not help if the stock selection is wrong. There are two types of investors 1. Always stay invested 2. Buy at near bottom and sell at near high. The 2nd type of investors makes more profit compared first one. The 2nd type of investors are normally traders or more evolved investors. These investors know when to enter and when to exit. Theoretically such investors don’t exist but practically they do exist. On the other hand, the investors who can’t time the market always stay invested. These are normally retail investors. When i published a post, Why you should not invest in SIP?. I received sharp reactions from investment advisers and investors. The big question was how a retail investor should invest in market?. As we know that SIP can potentially deliver negative returns. 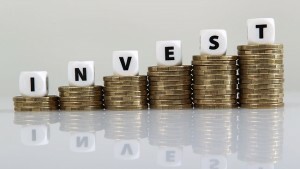 The major disadvantage of SIP is that investment amount remains fixed. As an investor, to minimize my losses, i should invest less when the market is high and vice versa. It is nothing but Value Investing. Secondly, value investing follows the principle of threshold rebalancing that i will discuss in my next post. In short, the objective is to maintain maximum harmony & equilibrium between various investment philosophies. I should invest in such a way that there is a perfect balance between all the factors that influence investment. I cannot cover everything in a single post but the reader should correlate and link my posts to understand the 360-degree concept. This 360-degree investment philosophy i follow for my personal investments. Let’s check the definition of Value Investing according to me. Trust me Value Investing is not a rocket science you can manage yourself. Secondly, it only tells how you should invest. It does not address where you should invest. In short, the quality of financial product i.e. stock, mutual fund, etc. is investor’s responsibility. Value Investing does not guarantee +ve returns. Compared to SIP, it hedges the risk of an investor. It follows the fundamental principle of investment i.e. buy more when others are selling and vice versa. Lastly, it is important to book profits at regular interval. We will discuss it in detail in my post on threshold rebalancing. With this background, let’s understand Value Investing with a hypothetical example. In short, i will explain the way i invest. I don’t invest fixed amount every month but save fixed amount every month. You should keep saving for bad times to buy more to maximize your returns i.e. cash in hand. Assuming, i save Rs 5,000 every month. I opened separate savings account for investment purpose. I transfer fixed amount to this savings amount. Now i will decide the investment amount depending on the market conditions. If the market is up, then i will invest less, and if the market is down, then i will invest more. Let say i will invest for next six months. Lastly, i will fix a date on which i will take stock of my portfolio and invest. Usually, i observe that last week of the month is a good time to invest i.e. near expiry. My date of investment is 25th of every month. It is subjective and based on my personal experience. You may select a date for Value Investing as per your convenience. In this approach, my investment value will be approx Rs 30,000 at the end of the investment cycle. Now you must be wondering; i invested 30k and investment value is 30k, therefore, the return is 0%. It is not the case; your investment might be Rs 27,000. Therefore, absolute return is Rs 3,000. Let’s check how we will do that. At the beginning of the first month, i will invest full amount i.e. Rs 5,000. Value Investing will start from next month. Assuming next month, the value of my investment is Rs 4,850 i.e. market is down. As per above value investing table, the investment value for the 2nd month is Rs 10,000. Therefore, to bridge the gap, i will invest Rs 10,000 – Rs 4,850 i.e. Rs 5,150. In short, when the market is down by following the principle of Value Investing i invested more. Similarly, assuming 3rd month the investment value is Rs 10,500 i.e. market is UP. Now i will invest less. As per table, the value investing value for the 3rd month is 15,000. Therefore, i will invest Rs 15,000 – Rs 10,500 i.e. Rs 4,500. This cycle will continue until the 6th month, and my investment amount will be variable for all six months. It will depend on market conditions. Under Value Investing, i will invest more during a bearish trend and vice versa. This approach has both positive and negative. Compared to SIP, the return from Value Investing will be slightly less compared to SIP. On the other hand, during a bearish trend, the fall will be less compared to SIP. In short, LOSS of Capital will be LESS. As i shared in my posts, that investment philosophy should be to minimize losses. To reduce loss even at the cost of sacrificing small profits is OK. It’s a theory of greed and fear that i discussed in detail in my posts on Stocks. Value Investing works well for all type of investments where the returns are variable in nature. It also includes debt mutual funds. Words of Wisdom: Value Investing does not replace good fund or stock selection. As i shared, it is investment philosophy through which you can minimize/hedge risk. The investors who can time the market well should stick to their approach. The crux of the matter is that Value Investing is more suitable for SIP investors. In my opinion, it is the best alternative to SIP. Hope you liked the post.